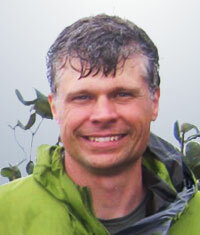 Associate Professor Phil Resor is delivering six lectures in Australia this June. He is the 2014 AAPG Distinguished Lecturer. 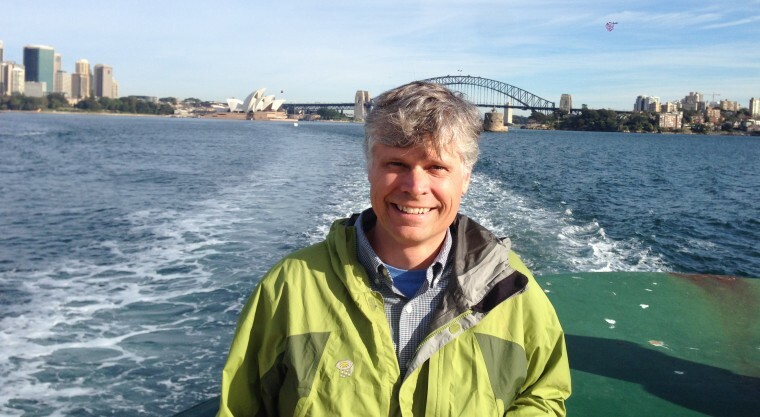 Philip Resor, associate professor of earth and environmental sciences, is taking his knowledge of petroleum down under. Between June 18-26, Resor, a Distinguished Lecturer for the American Association of Petroleum Geologists (AAPG), is delivering six lectures in Australia. 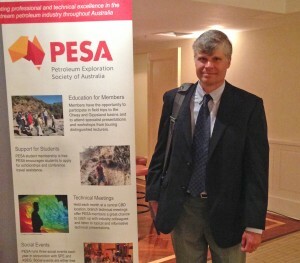 The talks are geared toward members of the Petroleum Exploration Society of Australia (PESA) and a general petroleum industry audience. Phil Resor at a talk in Melbourne. He’ll be lecturing in Melbourne, Adelaide, Perth, Brisbane, Sydney and Canberra. A specialist in structural geology, Resor’s work integrates field mapping, remote sensing, and numerical modeling to better understand the mechanics of faulting. Recent projects have focused on the causes of syndepositional faulting in carbonate platforms, deformation around normal faults, folding on Venus, and the effects of fault zone geometry on earthquake slip. Prior to joining the faculty at Wesleyan, Resor worked for several years as an exploration geologist in the oil and gas industry.